To arrange a visit to service your piano, or if you have any questions, please either call or email me. I can generally be reached by phone from 7:00 AM to 9:00 PM; for urgent or emergency situations, feel free to call anytime. For emails, you can expect a prompt reply, usually the same day and typically not more than 24 hrs. If you need to contact me in "real time" i.e. right away, please call as I will not see your email unless I am at my office desktop computer in the early morning, evening or when I ocassionally stop home for lunch. For tuning and service appointments, regular times are 9AM to 3PM Monday through Friday. Weekend appointments are also available. I am confident you'll be pleased with my services; if, however, you are ever in any way dissatisfied with my work, please do not hesitate to call, and let me know so I can rectify the situation at no expense to you. I also use Angie's List to assess whether I'm doing a good job keeping valued customers like you happy. Please complete your review at AngiesList.com/Review in order to grade my quality of work and customer service. Thanks to all my Angie's List cusomers for your great reviews! I was awarded Angie's List Super Service Award for 2012 thanks to all your excellent reviews! 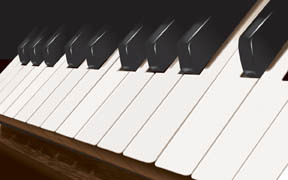 You can be assured I will continue to maintain the highest quality of service for your piano.